Take advantage of free trials to see if an app is right for you. After purchasing an app, assign licences to users so they are allowed to use the app. To start using the app, launch the app from your dashboard. 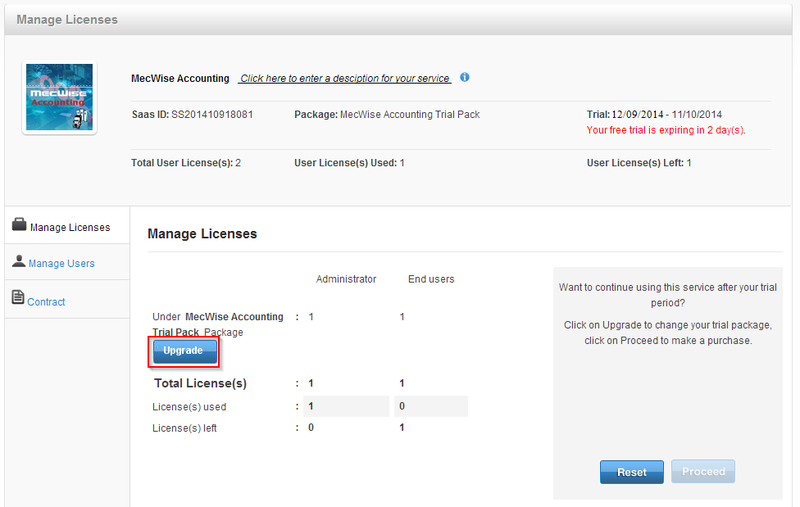 In the Manage Licences page, click ‘Upgrade’. 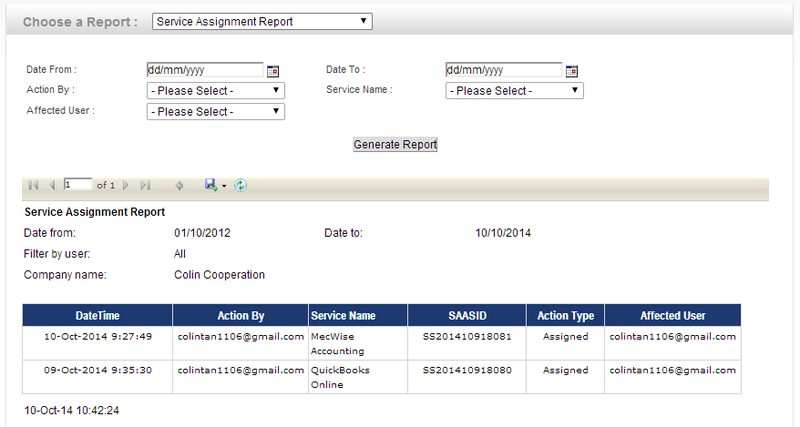 Login Audit Report: lists the date and time that your User logs into the Dashboard. 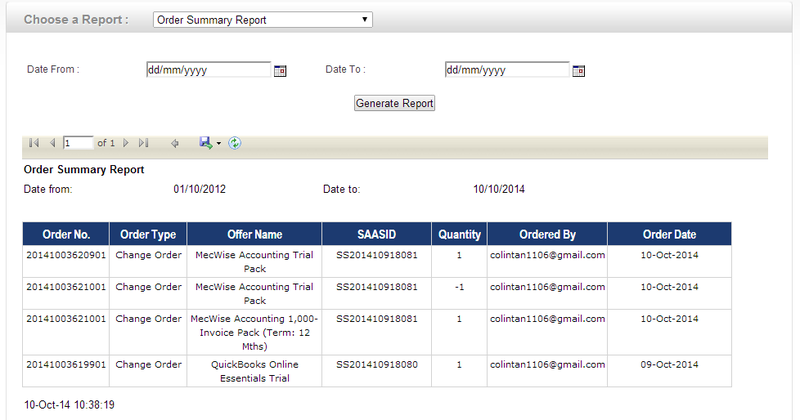 Order Summary Report: lists the apps that you have purchased. 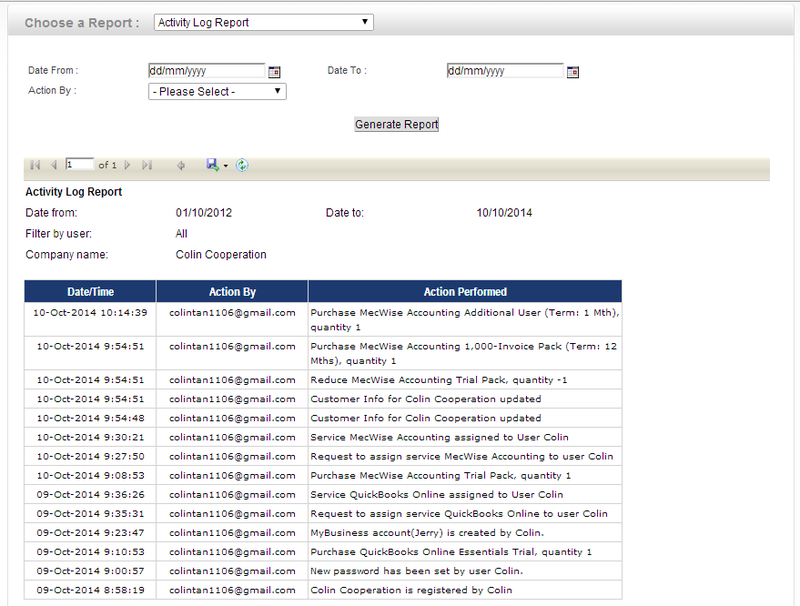 Activity Log Report: lists the actions that were taken, from registration to launching the app. What are the apps that I can pay using my credit card? 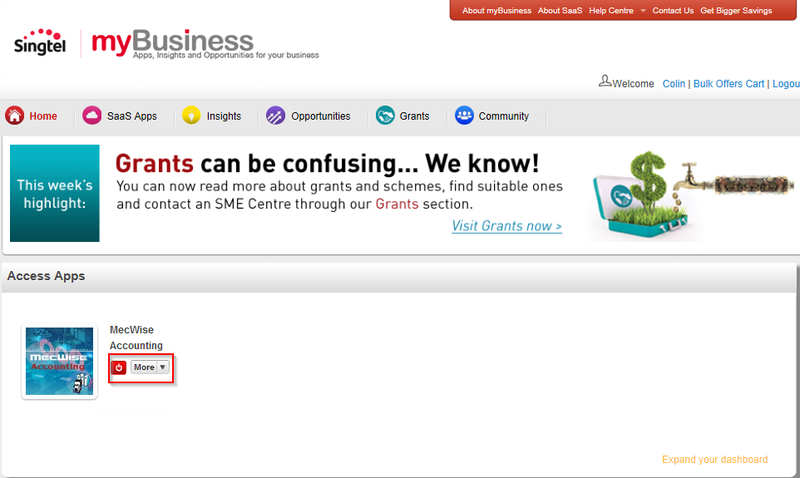 Currently, you can only pay using your credit card for selected apps and offers (Second CRM, V-CUBE Meeting, AppExe, 6parcels, FetchFans, Business Domain Name & Hosting, Business Web Hosting, MecWise Claims, MecWise Time Management, Business Email Hosting, MecWise Payroll Software, MecWise Employee Self-Service Leave Management Software, eShop Builder , Web Builder , Oystor ) on myBusiness. 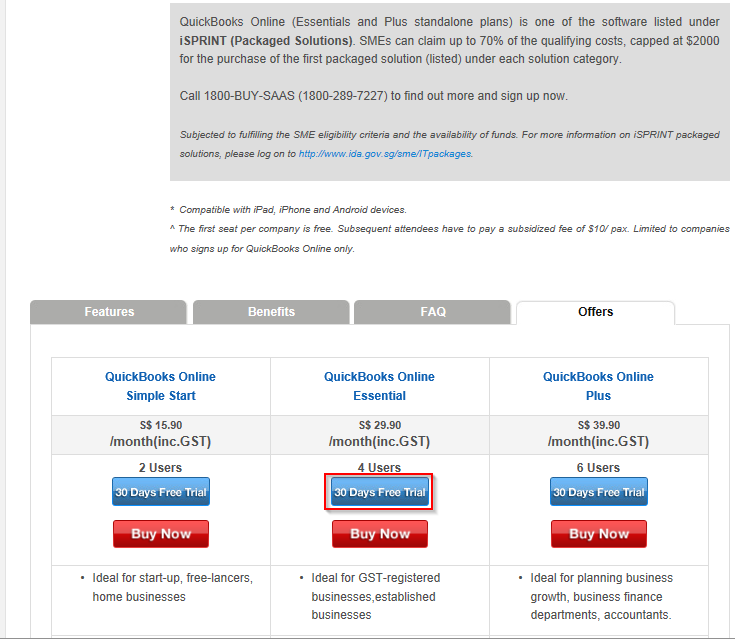 These apps will be indicated in the Offer page when you buy them. More apps will be added in the near future. 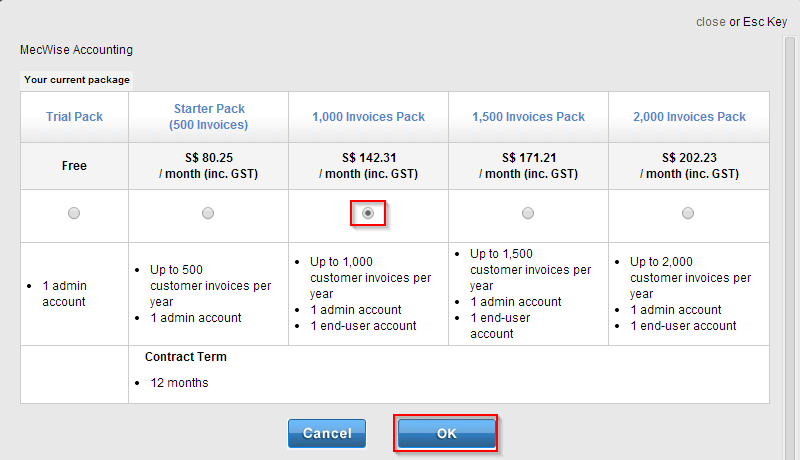 I am paying for apps on my Singtel business billing account currently. Can I convert to credit card payment mode? 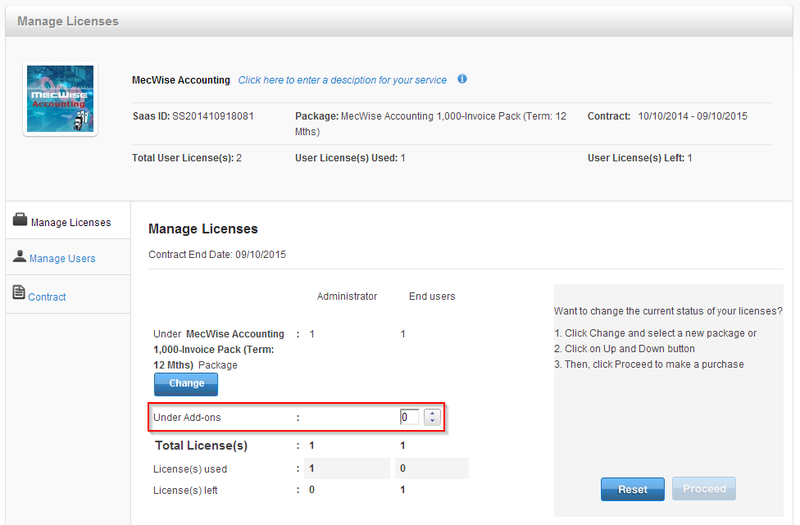 No, you can have only 1 payment mode on myBusiness. 3D Secure is an enhanced security protection provided by VISA and MasterCard to protect card holders from fraudulent transactions. A one-time password (OTP) will be required when you make a payment online. The OTP, a single-use random password will be sent to you via SMS or generated by your online security device as a second level of authentication. Yes, all information provided to us on your browser will be securely transmitted to myBusiness using Secure Socket Layer (SSL) encryption. Do I need to renew subscription for my apps ? I want to upgrade my apps to a higher edition within the service term. Is that possible? Yes, you can upgrade to a higher edition, and top up the price difference. Your service term will be re-started with immediate effect. Can I downgrade to a lower edition after I have sign up? Yes, you can do so if the application allows downgrade. When will the downgrade be effected? The downgrade will be effected only at the end of your current service term. 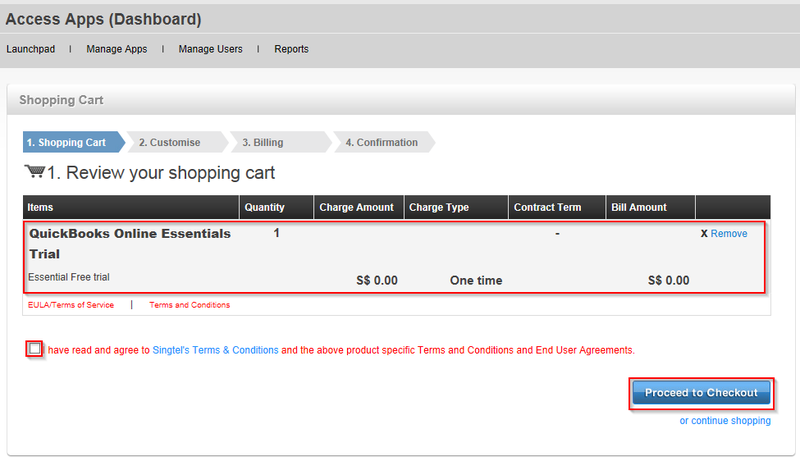 You will continue to use the current edition until the end of your current service term since you have paid for it. When will I be billed on my credit card for the lower edition? 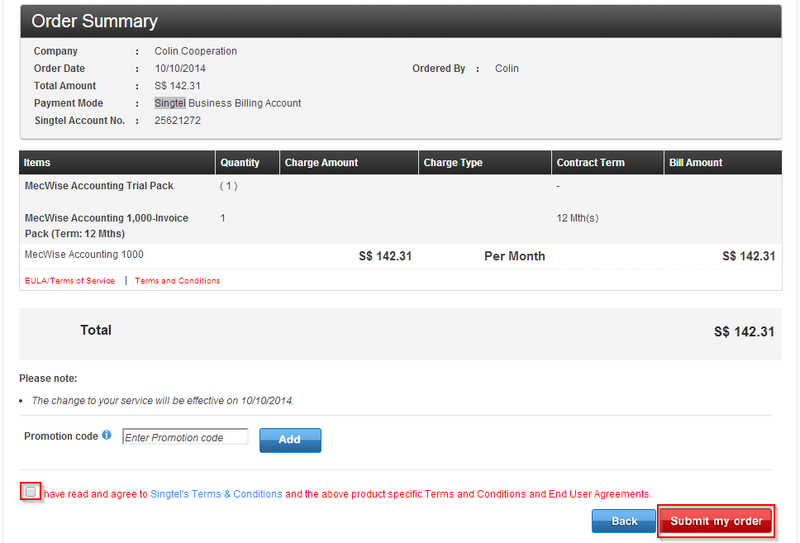 You will be charged 14 days before the end of your current service term. I have requested to downgrade the edition. Can I cancel the request after that? Yes, you can cancel your downgrade request 15 days before the end of your current service term, or as long as before the charge is made to your credit card. You should submit the request at least 30 days in advanced of intended effective date. 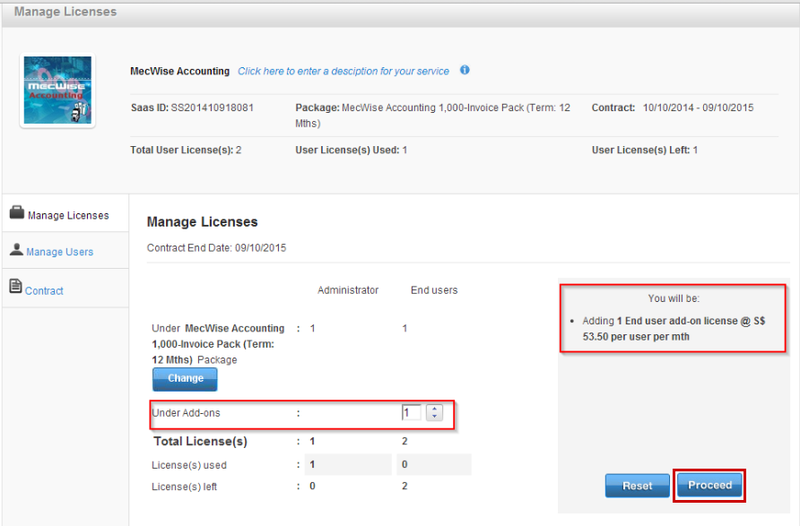 Fees and charges for renewal of your SaaS will be effective on the next anniversary date. 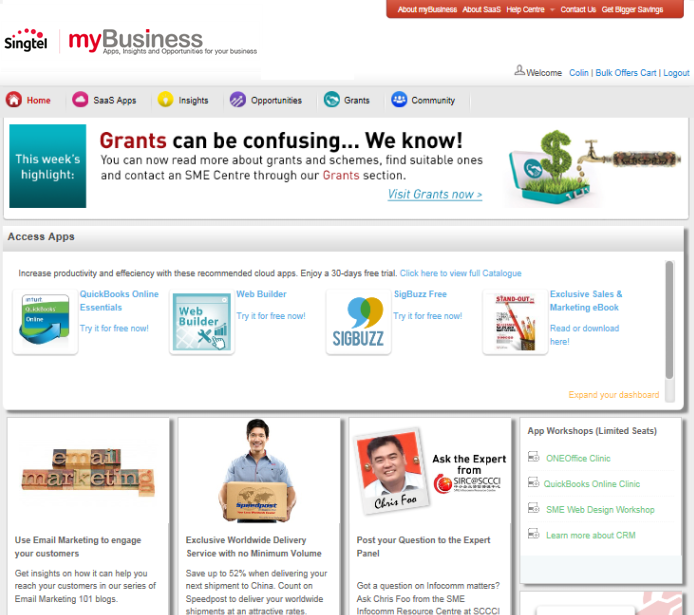 Yes, your company Primary Administrator can change or update credit Card details anytime on myBusiness. 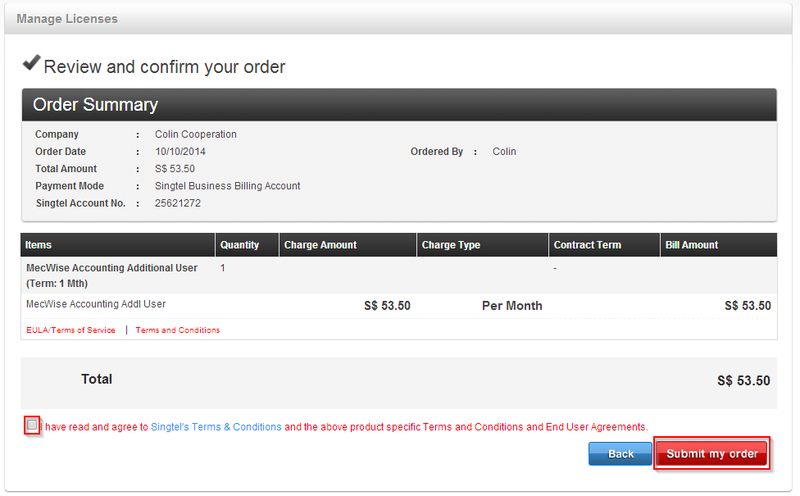 When I try to change or update my credit card details, the system shows a SGD 1.00 to be charged to my card. Why is this so? Will I be billed? 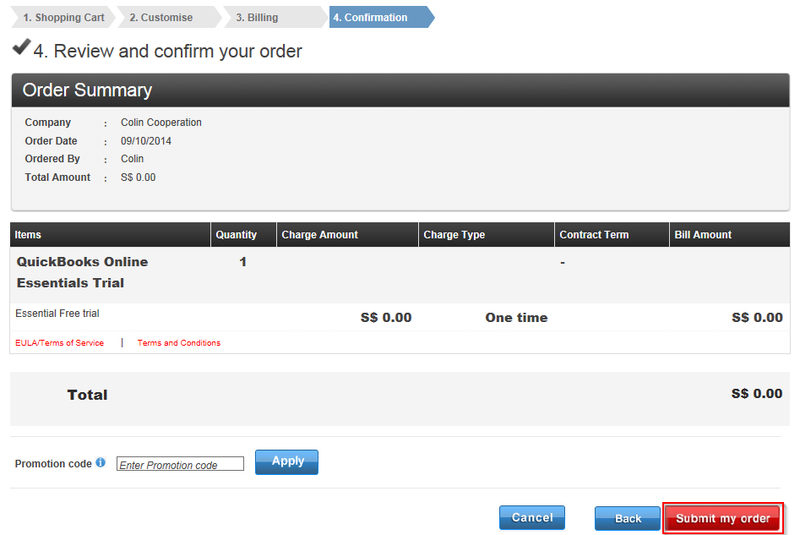 This step is required to validate the new credit card. You just need to enter the OTP and submit the request. Please be assured that you will not be billed for this process. 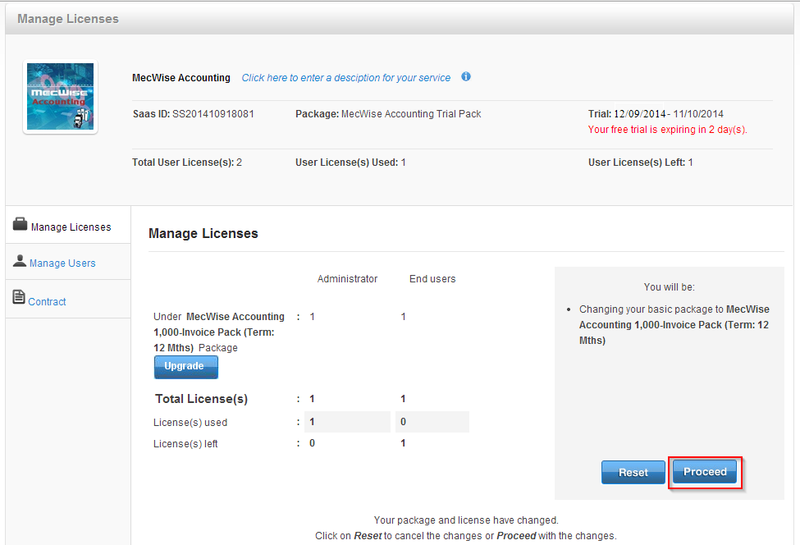 myBusiness will not be able to renew your SaaS sucessfully. You are responsible to update your credit card details on myBusiness when there is any changes to ensure a successful renewal of your apps. What is App Password Sync? How to enable the App Password Sync feature? 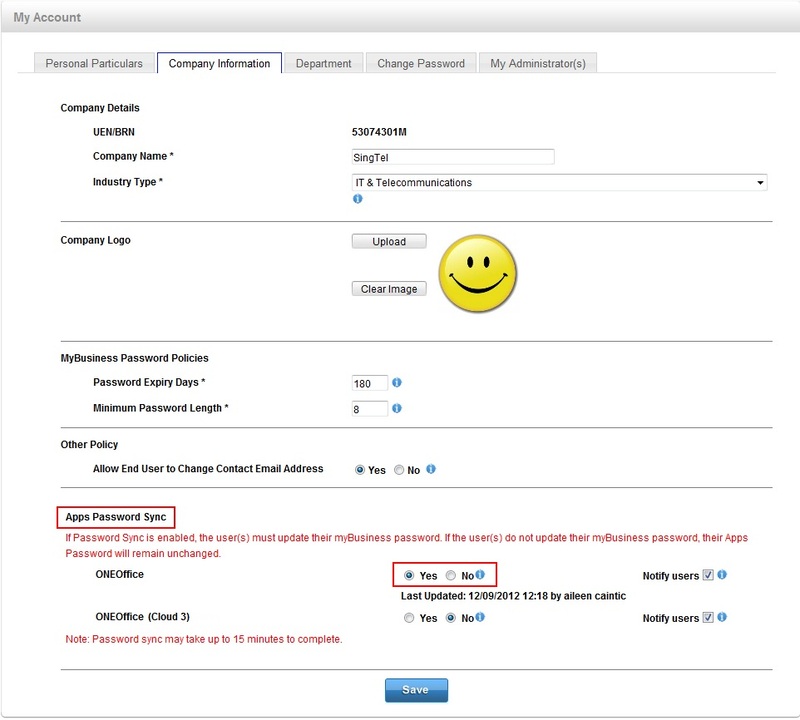 How can I change myBusiness password from myBusiness dashboard if I enable Apps Password Sync feature? How long it will take to sync password? What should I do if I don't want to use Apps Password Sync feature anymore? What will happen to my IMAP/POP3 Password if I enable Apps Password Sync feature for ONEOffice? 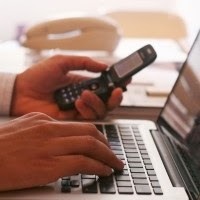 Read the latest articles on boosting your business productivity with SaaS apps. 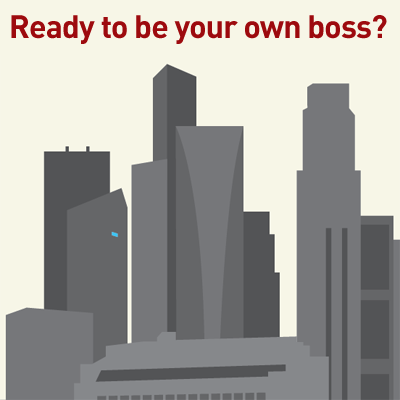 Infographics: Ready to be your own Boss? Email Marketing 101: Is Email Marketing Still Worth Using? 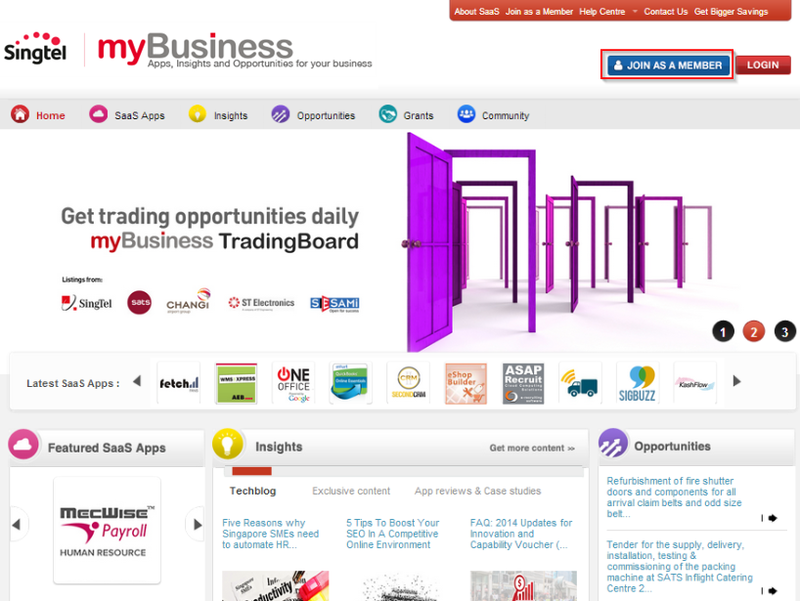 Learn how companies in Singapore are using SaaS apps to boost their productivity.